For millenniums, metaphors have been used to connect one thing to another, to bring richness and meaning through words and pictures. That’s how the brain works by processing, linking and storing information. People learn naturally by using building blocks. TetraMap explores how metaphor can be used to connect something we know and understand – how nature works to something, we want to know and understand – how human nature works. Start with building block number 1 – understanding self. Why Are You Like That? is a powerful, clear, simple and enlightening question. Next, provide a trusted process to make it safe to explain, and bingo, things start to unfold. Confusion becomes clarity. Difficulties become differences. Irritations become insights. Make links easily from self to others (building block number 2) and why they see things differently. After all, in nature – every flower, every tree, and every grain of sand is unique – just as in human nature. Use building blocks 1 and 2 to link to broader aspects of life and work – communication, conflict, families, teams and leadership. Blocks 3,4,5,6,7 and so on. The possibilities are endless. Let’s examine TetraMap’s nature-based metaphors in the context of learning – reminding ourselves that metaphors are not true, but they are very useful. 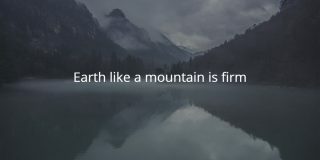 Earth, like a mountain, is FIRM. Jill has a preference for Earth and making Firm decisions is an easy task for her. She enjoys the challenge of climbing mountains and please don’t distract her from achieving her goals with too much small talk. Notice how the connections are formed, and the dots joined in a few simple words? 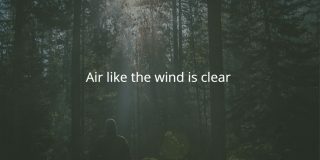 Air, like the wind, is CLEAR. Mai Ling is high in Air. She seeks clarity in her life and work. She strives for efficiency. Transparency – like the air we breathe – is important to her. When things are ambiguous – it means she can’t see the wood for the trees. Note the connection between words and concept. We understand concepts like transparency through the visualisation of clear, clean air. 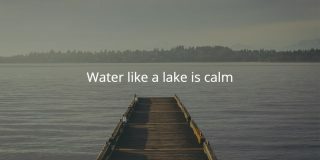 Water, like a lake, is CALM. Bilal is calm and reflective. He commands respect through his commitment to personal, team and organisational values and genuinely caring approach for people. Lakes are deep. Bilal goes deep with conflict. Often, it is an internal turmoil before taking a calm approach towards resolution. When you picture a lake – what descriptive words come to mind for you? The lake was window clear. It was still like a statue. 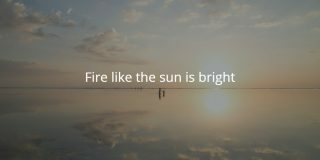 Fire, like the sun, is BRIGHT. Josh has a high Fire preference he is always Bright and inspiring at team meetings. He loves to come up with possibilities and is focused on solutions. Don’t sap his creative energy by saying ‘we’ve tried that before’ or ‘that’s never going to fly’. His Fire will fizzle. See how the words and visual image conjure up what Josh is like at meetings (even if you’ve never met him). 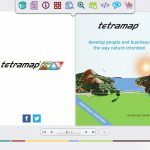 The beauty of the use of metaphor in TetraMap is that it is broadly applicable across very diverse teams and organisations; providing a way of unifying the disparate and ordering the complex. It provides a deeper understanding of behaviours that become a tipping point to significantly improve productivity, systems, work cultures and vision. From: TetraMap: Develop people and business the way Nature intended, by Jon and Yoshimi Brett Buy here on Amazon, or sample read here. Such a helpful piece Louise. Making the most of metaphors is so important and has a wide cultural appeal across teams, organisations and countries. Thank you Lelya. This was fun to write and glad you found it valuable. Agree with you – cross-cultural appeal provides an inclusive language for everyone to share and learn from each other.